It is transformation which changes the shape of object. The sliding of layers of object occur. 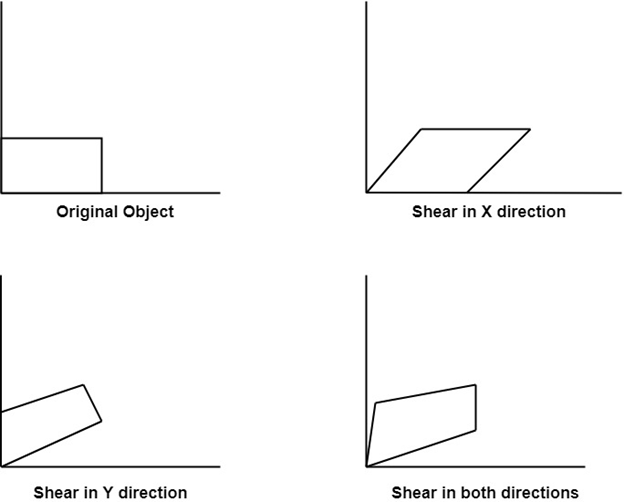 The shear can be in one direction or in two directions. Shearing in the Y-direction: Here shearing is done by sliding along vertical or y-axis.